While the concept of governance is considered central to political science, our understanding of it is still imprecise, with extant studies focused primarily either on think-tank indicators, economic management, or political studies of democratization. This book critically examines the record on democratization in Africa thus far and seeks a new, integrated, focused approach to the study of governance. Such an approach requires revisiting the concept of governance itself. 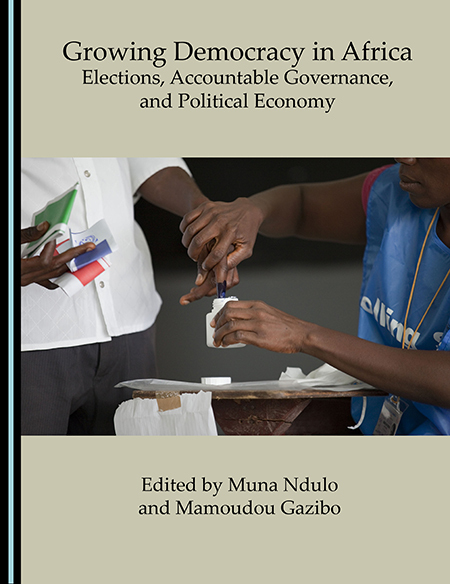 In this volume, the editors have chosen to study the concept as it applies to accountability in four specific arenas: institutions and the rule of law; constitution-making, elections, and political conflict settlement; distribution of power and citizenship; and political economy and corruption. With a huge and varied continent in rapid flux to study, the sheer amount and variety of interesting new research is enormous. It is expected that the discussions contained herein and the various challenges, achievements, and lessons outlined will contribute to research, inform teaching, and lead to a greater understanding of the issues of democratic consolidation and economic development in Africa. Muna Ndulo (D.Phil., Oxford) is Professor of Law; Elizabeth and Arthur Reich Director, Berger International Legal Studies Program; and Director, Institute for African Development, Cornell University. He has served as consultant for organizations including the World Bank, the African Development Bank, and the Economic Commission for Africa. He has consulted on constitution-making in Kenya, Zimbabwe, and Somalia and has served as UN Senior Legal Advisor on numerous missions. Mamoudou Gazibo (PhD, Comparative Politics, University of Montesquieu) is Professor of Political Science at the University of Montreal (Canada). He has been a consultant for international organizations including the African Union and the International Organization of Francophone States. He was chair of the constitution drafting committee in Niger and served as senior adviser to the Nigerien Prime Minister in 2010–11. This entry was tagged Africa, Democracy, Economy, Politics. Bookmark the permalink.